If waterfront living is relaxing, then surely residing near a lake does tremendous good for the mind, body, and soul. Here are a couple of other reasons why moving to a lake home might be one of the best decisions you will ever make. You can unwind any time. Living in an urban setting can be chaotic at times. It may be your work that is stressing you out or social situations. Retreating to a lakeside retreat will give you some peace of mind. Simply staring out at the lake scenery can already do wonders for your health. You can just hang out at the docks with a book in hand, get a tan when the sun it out and high, or just lounge around. This is a place where you can definitely do nothing and still have the best time of your life. Outdoor recreation is right at your door. Living in a lake home is undeniably wonderful especially for outdoor enthusiasts. If you live near a lake, there is a high chance a plethora of activities, such as hiking and camping, are minutes away from your house. Of course, water activities are not to be forgotten. You, your family, and your friends can swim out to cool down. Paddleboarding, kayaking, and canoeing are also popular among the lake lifestyle crowd. Some lakes allow boats and water vehicles as well. You can enjoy a supply of fresh fish. If the lake is well-stocked with fish, you might find yourself enjoying the freshest catch for lunch or dinner. You can also serve this to your guests whenever your entertaining. Sitting around a campfire while roasting some fresh fish can be a positive bonding experience. Fishing not only satisfies cravings− it can also be a relaxing pastime, especially if you are looking for some peace and solitude. Some lakes play host to fishing tournaments. If you are competitive, these contests might stoke your fire. Lake Wedowee is extremely popular among the local fishing crowd, as the reservoir is home to healthy populations of bass, catfish, crappie, and other species. Read more about bass fishing in Lake Wedowe here. The lake is your playground. If you have kids in the family (or you’re a child at heart,) nothing beats having a big lake as your playground. This can be extremely beneficial to overall health and well-being, especially with kids these days constantly glued to their laptops, smartphones, and gaming consoles. Additionally, pets will also benefit from having such a beautiful backyard. Dogs will have plenty of space to run around, while cats can simply chill out in the grass or layout under the sun. It’s a great real estate investment! 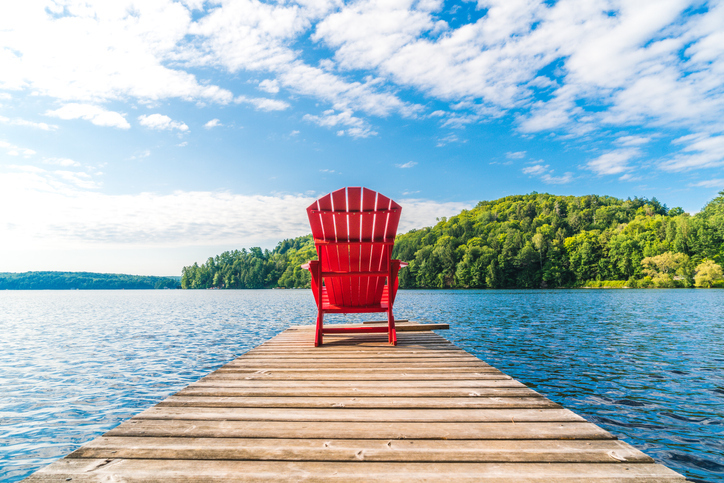 Whether you are planning on living permanently by the lake or having the property for getaway purposes, buying a lake home is a wonderful addition to your real estate portfolio. Generally speaking, waterfront homes have high market values. You can also earn additional income when you decide to rent it to vacationers whenever you are not using the home. Some homeowners even take it one step further by operating their own bed-and-breakfasts by the lake. This is a viable option, especially if the area attracts its fair share of visitors. Wedowee Lake and Lands Realty, LLC can show you the best lake homes in Lake Wedowee real estate. Talk to us today at 1-256-357-9600.